Though tracking "progressive" slime is generally a thankless task, sometimes their most outrageous rhetoric can at least offer some amusing entertainment value. It can also be infuriating, especially when clearly part of a partisan smear campaign. There was a time when most of the craziest rants came from Mike Malloy, but several other libtalkers have since caught up and even surpassed him. This week, former CNN Crossfire host-turned-lefty-talker Bill Press put Malloy to shame with a tirade equating Herman Cain with Penn State sicko Jerry Sandusky. BILL PRESS (TUES 08 NOV 2011 HOUR ONE): I wonder what Rush Limbaugh and Herman Cain's detra -- uh, supporters say about what's happening at Penn State? Hmmm. Are they blaming that on the media? Is the media wrong by pointing out that Sandusky guy apparently was molesting all these young boys, including a ten year old in the shower, and Joe Paterno doesn't call the cops? You gonna blame the media for that? Are they gonna defend Sandusky? Or not defending him, just defending Herman Cain because he happens to be a conservative politician running for president. SO you can't touch him, but the media can go after Sandusky. What's the difference, really? There's no difference, really. I mean, okay, we have maybe sexual assault in the case of Sandusky, but let me tell you something, assuming, and if what Sharon Bialek says is correct, that's a lot more than sexual harassment on Herman Cain's part. That's sexual assault on his part. I think any lawyer would tell you that. So I just get sick of these right-wingers trying to defend this guy when five different women come forward. Five different women come forward! Same story. You're just believe him? Compare this obvious talking points campaign tactic with state-run media coverage now pointing to Newt Gingrich as a new potential GOP frontrunner. Isn't it clear Republican voters have been manipulated by the Obamist opposition? 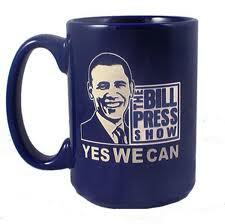 If I were Bill Press I would be looking over my shoulder every time I went into a darkened parking lot. Criminal psychopaths usually get what they deserve, in the long run. How desperate they are. It's the Cain train...all aboard! How pathetic do you need to be looking for attention to compare a "multiple-witnessed" child molester with a man who has had NO credible accusation brought against him. Even if the WORST possible interpretation is taken and assumed as true, the worst that can be said of Herman Cain is he made an unwanted pass (which she did not have a problem with for 12 years until she thought she could get something for it). You represent the worst of the sick, self-serving press and you shame your profession. Herman Cain is innocent. There is no evidence to prove he did anything. In fact, there is plenty of evidence to prove that he never did any of these things. The credibility of the people who have come after Herman Cain have been totally torn to shreds. Accused by a serial complainer/corporate extorter whose co-workers say she can't be believed and a woman whose friends and co-workers say is a lying gold digger. They can't defend the Lad fro Kenya's record, so all they can do is attack. Obviously Herman is the candidate they fear the most. It's a page right out of Saul Alinsky"s book "Rules For Radicals". Their Bible. Bill Press is the classic idiot liberal unable to differentiate between sexual assault and a rebuffed sexual encounter if there were any basis in fact to the allegations. Declaring "You know I have a boyfriend" indicates this woman had entertained the idea of sexual relations. No sexual harassment or assault. In addition to the obviously deranged attempt at drawing parallels between these two very different things, Press is lying when he says 5 women have come with the same thing. a)There have not been 5 accusations. b) The accusations differ greatly. Again, Press has'nt been a player since CNN canceled "Crossfire". He can't even compete in the free market, he works for the Soros funded Center For American Progress. He's a radio bagman for Padesta & Soros. It's kind of sad really.